The Antigua Collection adds a refreshing, contemporary look to any outdoor space. Clean-lined frames and plush seating create an inviting atmosphere for lounging or entertaining. Tables feature a tempered glass or slat top polywood tabletop and spacious drawers for storage. 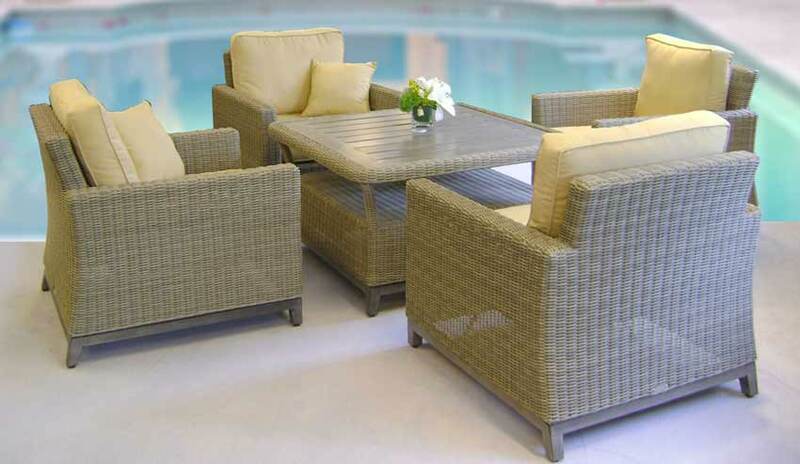 Durable wicker and fabrics ensure years of outdoor relaxation.